The east coast of Sicily is dominated by the presence of Mount Etna, the volcano that has always conditioned and molded the contours of the landscape and the weather conditions of the whole stretch of coast from Catania to Taormina, where you can follow a procession of attractive villages lying on the coast of black lava. 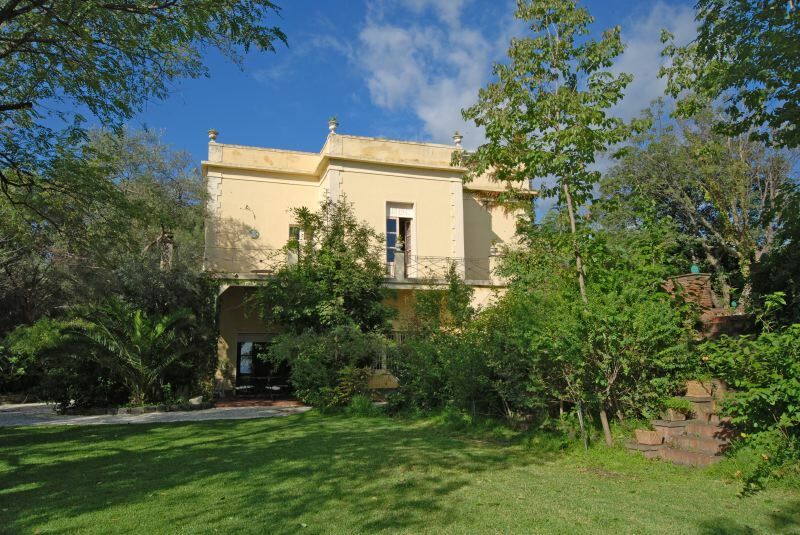 Villa le Agavi is up in the hills of Acireale, in a wonderful position with a superb view, with the hill sloping gently down to the sea through olive trees and colorful lemon groves. Behind the villa rises the imposing shape of Mount Etna. 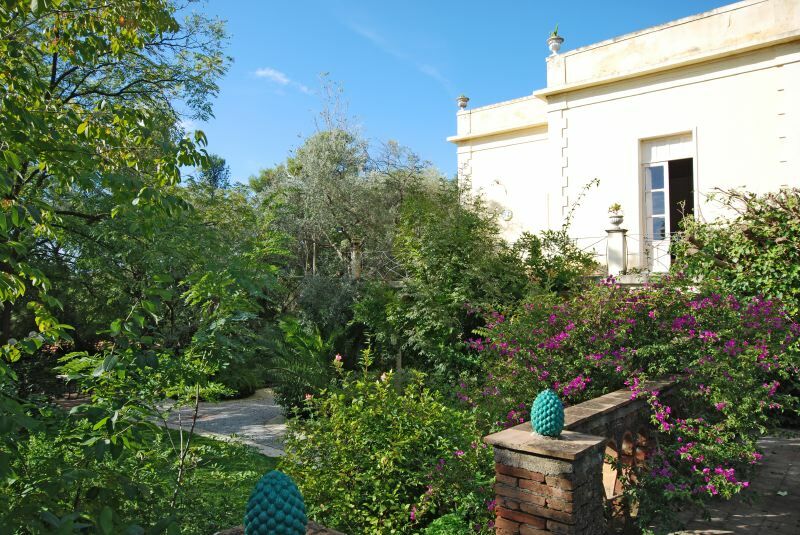 The villa, a classic old aristocratic Sicilian home, lies inside its own grounds with typical Mediterranean flora, and has large terraces with a view of the sea and pergolas furnished for relaxation, as well as a private 8x14m swimming-pool. The owners live in an independent house about 100 m from the property. The furnishings of the large living room and of the dining room consist mostly of typical old Sicilian pieces and the kitchen with dishwasher is well equipped and functional. The villa has air conditioning in the bedrooms. Pozzillo with its lava coast is about 8 km from Villa le Agavi and the free-access beaches are about 5 km away towards Taormina. There are several typical coastal villages within a few minutes drive, such as Acicastello, Acitrezza and Santa Tecia, where in addition to the natural beauty of the area you will also find several restaurants that prepare the excellent Sicilian cooking based on fish and vegetables. Catania, with its beautiful baroque town center, is about 20 km away and Taormina about 25km. You can go up to the top of Etna using the Mareneve road, that winds up through woods and extinct lava in about 30 minutes by car. Transportation from the airport to the villa, guided tours, typical Sicilian dinners on the grounds, or a health program with massages, sauna and hydromassage on the grounds of the villa can be arranged for you upon request. GROUND FLOOR: large living-room with fireplace and access to the garden from a pergola with table and chairs, dining-room, 1 twin bedroom with bathroom with shower, kitchen, laundry. FIRST FLOOR: 1 double bedroom with terrace with view of the sea and bathroom with tub, living-room with double sofa-bed, fireplace and pianoforte and access to the terrace with view of the sea, 1 double bedroom with bathroom with tub, 1 double bedroom with terrace, 1 double bedroom with bathroom with tub and shower. External kitchen with barbecue and table for dining outside.